Workforce Singapore promotes the development, competitiveness, inclusiveness, and employability of all levels of the workforce. Its key mission is to enable Singaporeans to meet their career aspirations, take on quality jobs at different stages of life and help enterprises be competitive and manpower-lean. Workforce Singapore’s focus is on strengthening the Singaporean core and ensuring that Singaporeans are able to have better jobs and careers. 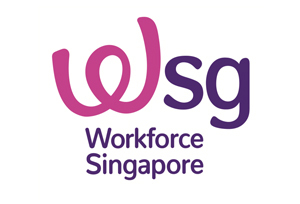 Workforce Singapore, in partnership with key stakeholders, also provides support to business owners and companies to enable them to transform and grow, while building a future-ready workforce. 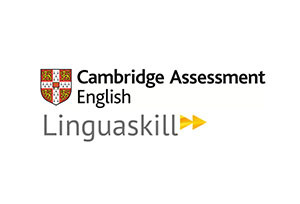 Cambridge Assessment English, part of the University of Cambridge, helps millions of people learn English and prove their skills to the world. We research, create, and deliver world-class assessments securely in over 170 countries, supported by leading-edge technology and a global team of more than 2,500 people. Our qualifications and tests are accepted by over 20,000 leading universities, employers and governments worldwide. They include Cambridge Personal Styles Questionnaire (CPSQ) an online behavioural styles assessment which provides an insight into how you approach tasks and relate to others: your ‘personal styles’. The Thinking Skills Assessment (TSA) measures your ability in critical thinking and problem solving, skills which are essential for success in higher education. We are launching our newest test, Linguaskill, at HR Asia 2019. It is a quick and convenient online test built to help employers check the English levels of existing and prospective employees. Linguaskill can be used to determine whether a candidate is a suitable match for a job or to support training needs and progression for employees. It combines the latest artificial intelligence technology with the reliability and quality you expect from Cambridge. 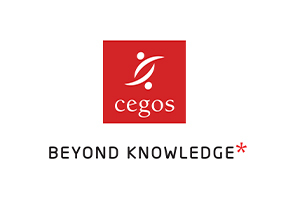 Cegos is the largest training provider in Europe and among the top 5 worldwide. We support our clients’ strategic business shifts and we help them empower their people by developing their performance and by adapting their competence. 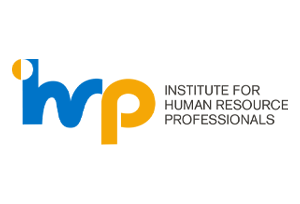 The Institute for Human Resource Professionals (IHRP) is the Human Resource (HR) professional body, set up by the tripartite partners: the Ministry of Manpower (MOM), the National Trades Union Congress (NTUC) and Singapore National Employers Federation (SNEF) to professionalise and strengthen the HR practice in Singapore. IHRP is the only HR professional body in Singapore authorised to implement the national HR credentials, which is known as the IHRP Certification. IHRP has the goal of setting the HR standards of excellence and enabling human capital development in enterprises. Through the IHRP Certification, IHRP aims to enhance the competencies of HR professionals, as well as create developmental and professional pathways for them. This will professionalise and strengthen the HR profession in Singapore, allowing HR professionals to be key enablers in their organisations. IHRP is also the appointed programme manager for the national Human Capital Diagnostics Tool (HCDT) and the SkillsFuture Study Awards for HR. Through the HCDT, Study Awards and other Human Capital Initiatives, IHRP supports multiple government agencies reaching out to help organisations in Singapore adopt progressive human capital practices. 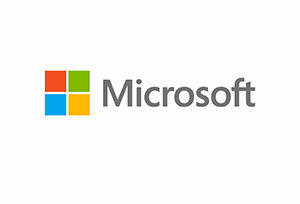 Microsoft (Nasdaq “MSFT” @microsoft) enables digital transformation for the era of an intelligent cloud and an intelligent edge. Our mission is to empower every person and every organization on the planet to achieve more. Our mission is grounded in both the world in which we live and the future we strive to create. Today, we live in a mobile-first, cloud-first world, and the transformation we are driving across our businesses is designed to enable Microsoft and our customers to thrive in this world. We do business in over 170 countries and are made up of 134,000 passionate employees where every day, we strive to create an environment that brings the power of diversity to life; where people with different backgrounds and experiences thrive in both their professional and personal lives—and where we’re all able to channel our passions to help people and organizations achieve more. 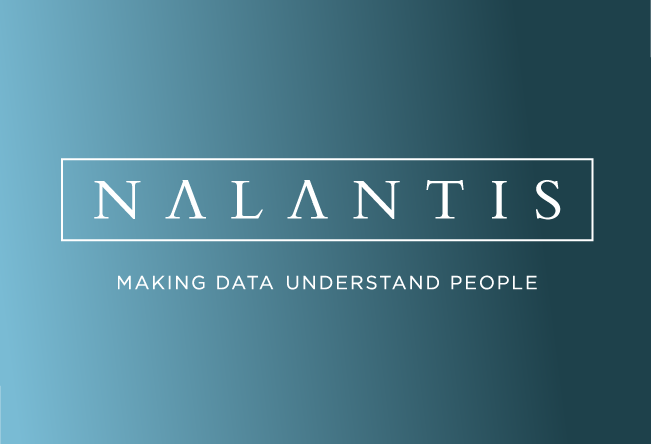 Nalantis offers innovative solutions for Talent Acquisition and Talent Management. Cross-language competence analysis & matching solutions, all available as ready-to-use tools or as API and cloud based services. Our state of the art technology is based on an A.I. system enabling machines to understand text and natural language. 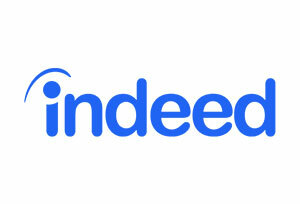 We have developed solutions that allow ‘read and understand’ big bulks of CVs and jobs and automatically find matches. This improves the time-to-hire with 80% and dramatically changes the user experience in the Recruitment space. Nalantis is based in Belgium (Europe) and also has offices in Singapore. 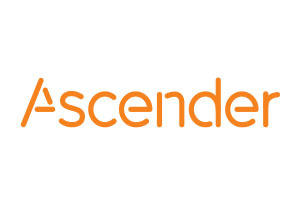 With more than 1.3 million customer employees being serviced by Ascender's payroll and HR platforms throughout the Asia Pacific region, approximately 1,400 global brands and listed companies across a range of different industries trust us to meet their payroll needs. Cornerstone was founded with a passion for empowering people through learning and a conviction that people should be your organization’s greatest competitive advantage. 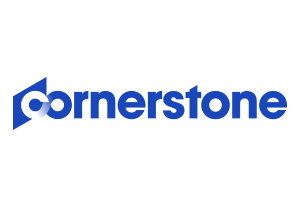 Cornerstone is a global human capital management (HCM) leader with a core belief that companies thrive when they help their employees to realize their potential. Putting this belief into practice, Cornerstone offers solutions to help companies strategically manage and continuously develop their talent throughout the entire employee lifecycle. Cornerstone’s HCM platform is successfully used by more than 3,500 global clients of all sizes, spanning over 40 million users across 192 countries and 43 languages. Learn more at csod.com. 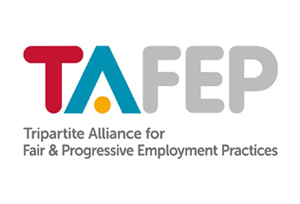 The Tripartite Alliance for Fair and Progressive Employment Practices (TAFEP) promotes the adoption of fair, responsible and progressive employment practices. TAFEP helps employers build workplaces where employees are respected, valued and able to achieve their fullest potential, for the success of the organisation. Employers can approach TAFEP for tools, resource materials and assistance to implement fair and progressive practices at their workplaces. Employees who encounter workplace discrimination can contact TAFEP (tafep.sg/contact-us) for advice and assistance. 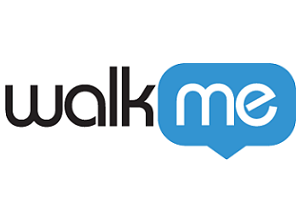 WalkMe is the pioneer of the Digital Adoption Platform (DAP) — an enterprise-class guidance, engagement, insights and automation platform. WalkMe’s holistic approach to digital adoption simplifies any organization’s digital assets for the overwhelmed user. WalkMe’s DAP enables the creation of on-screen sequences that guide and engage users through digital experiences. WalkMe’s context-intelligent, AI-powered solution ensures that users receive the right information at the moment of need. With WalkMe, employees are more productive, customers stay engaged, and businesses enjoy the full value of their digital assets. WalkMe’s DAP is used by 2,000 enterprises across all industries. We partner with business to provide integrated solutions to support your organization and accelerate the transformation of your workforce. We help people make successful transitions into new jobs within their company or with new employers. 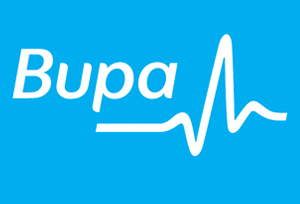 Bupa is an international healthcare company. With no shareholders, our customers are our focus. We reinvest profits into providing more and better healthcare for the benefit of current and future customers. We have 15.5 million health insurance customers, provide healthcare to around 14.5 million people in our clinics and hospitals, and look after over 22,000 aged care residents in our care homes and villages. We began in 1947 in the UK, when 17 provident associations joined together to form Bupa with the purpose of "preventing, relieving and curing sickness and ill health of every kind". Since then we’ve grown into a global healthcare business that employs over 78,000 people, principally in the UK, Australia, Spain, Poland, Chile, New Zealand, Hong Kong, the USA, Brazil, the Middle East and Ireland, and many more through our associate businesses in Saudi Arabia and India. Thailand Convention & Exhibition Bureau (TCEB) continues to shape the business events industry of Thailand with exceptional acumen and effective solutions. 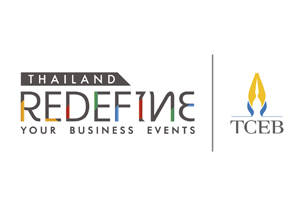 With a robust service support system and innovative approaches to co-create distinctive programs for the organisers, TCEB is redefining the MICE landscape to maintain Thailand’s impact as a top Asian business destination. Established by Royal Decree in 2002, the government agency is tasked with promoting and developing the business tourism sector in Thailand. 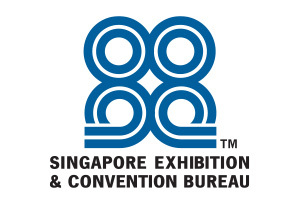 Since 2004, TCEB has successfully established the country as Asia’s largest business events hub, by providing amenable service support for MICE programs. Today, TCEB is heeding the government’s economic ‘Thailand 4.0’ policy, and targeting 10 key industries to align with international interests and be future-ready. Darwinbox, is a new-age cloud-based HR Technology which takes care of all HR needs across the employee life-cycle (Recruitment, Onboarding, core HR, Time & Attendance, Expense management, Employee engagement, Talent management, and Analytics). It acts as a one-stop shop to streamline all HR processes and has an evolutionary talent management system catering to every performance philosophy. The solution combines flexible workflows with intelligent insights and smart interfaces (voice). Recognized as one of the most preferred HCM solutions in Asia Pacific (Gartner report) 400,000+ employees love the Darwinbox experience. 150+ global enterprises like Vistara (TATA SIA Airlines), Times Internet (BCCL), Nivea, Space Matrix, Capillary Technologies, Paytm, Home Credit, Arvind group, Dr. Reddy’s Laboratories, Myntra, etc from across sectors have completely digitized their HR function using the product. 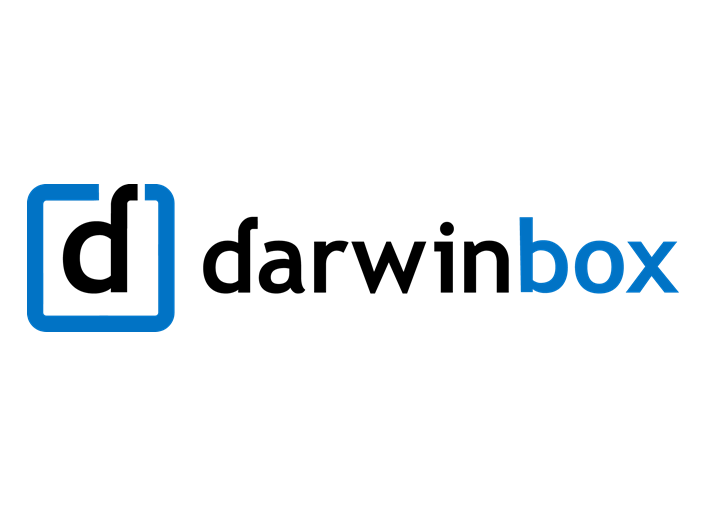 Darwinbox is backed by Lightspeed venture partners, a Silicon Valley-based fund. 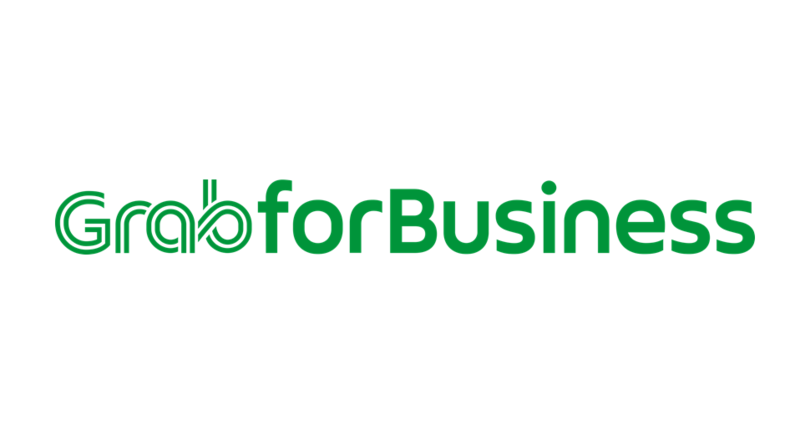 Grab for Business(GfB) offers a one-stop transport solution that enhance your business. • GfB Portal, allows you to better manage your company's transport budget, keep track of employees’ business trips, set policies and preferred payment method for when employees book a business ride all in one portal. • GfB Business Profile, for professional individuals to separate business and personal rides within the Grab app. • GrabGifts, you can use it to delight your customers, acquire new ones, drive footfall to events or reward your employees. Thai Airways International is a public company that transport passengers, goods, parcels and postal through air transportation via Thai major cities to the primary cities around the world with Suvarnabhumi Airport as the main hub for all flight routes. Thai Airways recently received three Skytrax 2018 World Airline Awards - World’s Best Economy Class, World’s Best Airline Lounge Spa serving Premium Class passengers, and Best Economy Class Onboard Catering. Travelers on Thai Airways will be connected to the world as to enhance inflight entertainment for customer satisfaction, Thai Airways has introduced Live TV onboard Boeing 787-8, Boeing 787-9 and Airbus A350-900. Onboard live streaming will enable passengers to watch live news from CNN, BBC and NHK while live sport can be enjoyed from Sport 24 channel. 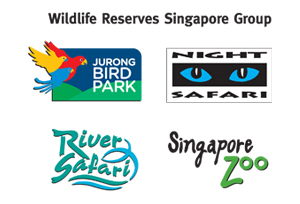 Wildlife Reserves Singapore (WRS) is dedicated to the management of world-leading zoological institutions—Jurong Bird Park, Night Safari, River Safari and Singapore Zoo—that aim to inspire people to value and conserve biodiversity by providing meaningful and memorable wildlife experiences. A self-funded organisation, WRS focuses on protecting biodiversity in Singapore and Southeast Asia through collaborations with like-minded partners, organisations and institutions. Each year, the four attractions welcome 4.6 million visitors. Mandai Park Holdings (MPH) is driving the rejuvenation of Mandai Precinct into an integrated nature and wildlife destination, through its development arm, Mandai Park Development (MPD). MPH also oversees the business and strategic development of Wildlife Reserves Singapore (WRS), the operator of Singapore’s award-winning Jurong Bird Park, Night Safari, River Safari and Singapore Zoo. 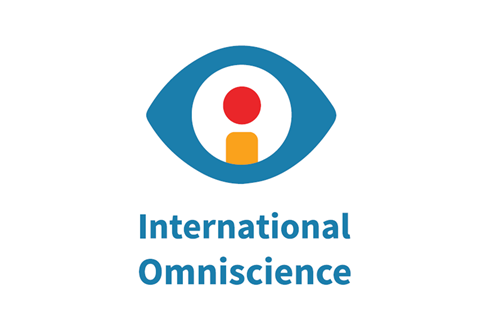 IO – International Omniscience is a company specializing in Learning Management System (LMS) based in Vietnam. We have been in the business of providing platform and training development solution for many companies in France and EU throughout the years. Our product “Match 3.0” is an advanced platform which is designed to meet the nowadays demand of human resources training and development. The platform focuses on various methods for learning, training and coaching in order to help companies increase the efficiency of their companies’ training courses and programs. 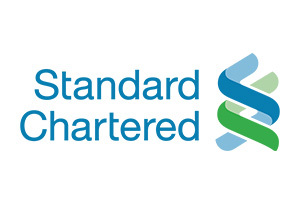 Standard Chartered Bank in Singapore is part of an international banking group, with more than 150 years of history in some of the world's most dynamic markets. In Singapore, the Bank employs around 9,000 people and has a network of 16 branches, 5 Priority Banking centres and 31 ATMs. SuperPark, the friendliest, all-in-one, indoor activity parks on earth, delivers unique experiences of joyful play that excites and unites people all over the world. 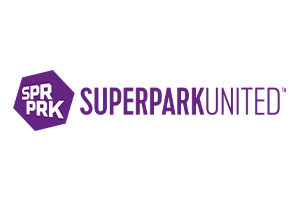 Originating from Finland in 2012, SuperPark owns, licenses and operates 18 activity parks globally, with Asian regional parks in Hong Kong, Singapore and Kuala Lumpur. SuperPark is based on the joy of play and movement, and is designed to inspire and empower people of all ages and fitness levels to move. There are no motorized, theme park style rides – we believe the human body is the engine. With activities catering to everyone, the “play” state is not only achieved by children, but adults as well. Beyond being a platform of fun activities, SuperPark offers tailored team-building programmes that focus on building and enhancing communication, leadership, engagement, trust and most importantly teamwork – key ingredients for successful companies. 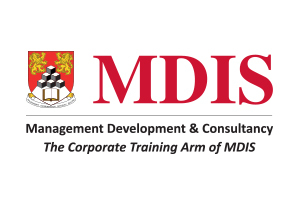 Since its establishment in June 1995, Management Development and Consultancy (MDC), the corporate training arm of MDIS has played a leading role in meeting the changing needs of many business organisations. We provide a wide range of well-designed programmes specially catered for business organisations with different training needs. 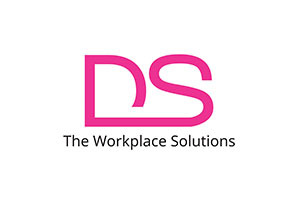 Our key services include seminars, customised training programmes and business consultancy services, designed to equip professionals with the essential tools of trade. By putting theoretical knowledge into practice for our training programmes. MDC has since become a reputable company recognised for developing the next wave of dynamic corporate and business professionals, both locally and regionally. 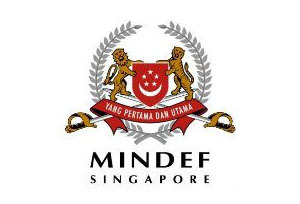 A strong and credible defence force is the bedrock of our economic prosperity. Strong support from employers provides the peace of mind for NSman employees to give their best while serving the nation. The NS Mark is a nationwide accreditation scheme that recognises businesses and employers who are supportive of NS and Total Defence. Your support matters. Get accredited with the NS Mark today! 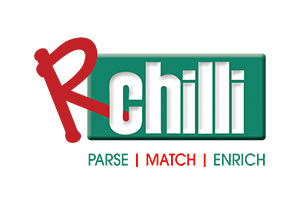 RChilli is a recruitment analytics solutions provider known for providing parsing, matching, and enrichment to every recruitment management system. We aim at capturing, managing and analyzing resume data most proficiently. Our innovative solutions facilitate quick talent acquisition with the help of resume parsing, semantic search & match and resume enrichment. Our intuitive user experience, customizable platform, and flexible pricing are what we excel at. With a team of dedicated experts and a growing global presence, RChilli is known throughout the industry for its unparalleled customer support and its devotion to continuous improvement. PeopleCentral All-in-one intuitive AI enabled platform empowering Human Resource Professionals across complete employee life cycles. From Acquiring Talent, Staff Onboarding, Managing, Retaining to Offboarding. 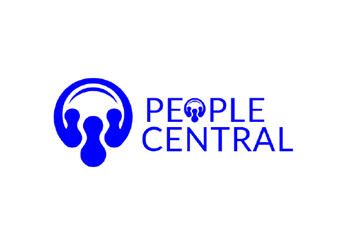 PeopleCentral through its platform aims to provide Employee Experience with positive touch points during Hiring, Onboarding, Talent Management, Performance Appraisal, Payroll, Learning & Development, Leave & Benefits; something which has been proven to generate greater levels of Employee Engagement, enthusiasm and employer brand commitment. Providing Integrated Experience through the ecosystem, which enables integration with many of the existing industry best available solutions. Powered with AI based chatbots to automate HR functions. 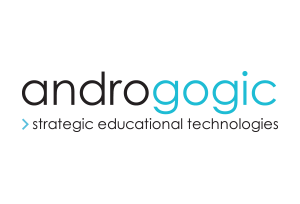 Androgogic is a leading provider of Educational Technology infrastructure and services and has the ability to realise an integrated, enterprise Educational Technology architecture for client-partner institutions in practical, functionally rich and cost effective deployments in support of strategic business initiatives. The company was established in 2005 and has had consistent, sustained growth based on high quality services and successful systems implementations. Androgogic's experience spreads across all education sectors and includes enterprise-level experience implementing, maintaining and supporting Educational Technology deployments in the Higher Education, Government, Health, Financial Planning, Law, General Corporate, VET and K12 sectors. 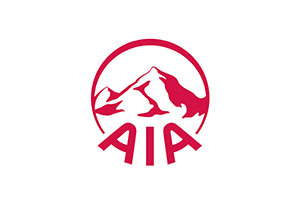 AIA Singapore has been serving the community since 1931. We aim to be the pre-eminent life insurer in Singapore, serving individuals, families and the community with innovative world-class products, providing customers the best digital platform with superior experience and distinguished service excellence. We want to genuinely engage in our customers’ lives, providing the right financial solutions for them and their family in a constantly changing world. And, we are committed to making a positive impact on our customers and the community, helping them live healthier, longer, better lives. 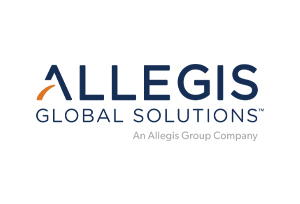 Allegis Global Solutions (AGS), an Allegis Group company, is a leader in global talent solutions. We have reimagined the human work experience. Through decades of industry experience, and with services across 60+ countries we understand what it takes to consult, design and build successful workforce management solutions regardless of the workforce category. 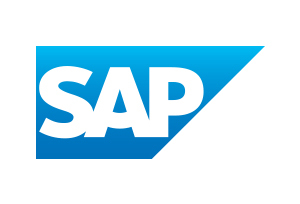 Whether our customers require an MSP, RPO, Services Procurement (SOW), Freelance solutions or a combination of services either regionally or globally, AGS has the experience, state-of-the-art technology and sustained investments in innovation to ensure your workforce solutions will make your company better. We help you reach your strategic goals with targeted solutions and relentless execution – delivered by industry experts. Contact us to discuss how AGS Consulting services can guide you on your digital transformation journey. 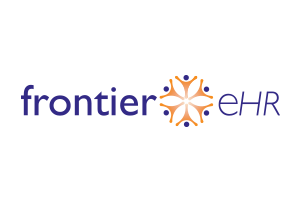 Frontier e-HR has been at the forefront of enterprise cloud-based HRMS since year 2000. Built by HR professionals, we offer a comprehensive range of HR capabilities to assist you in organizing, growing, and paying your workforce. Our solutions do much more than improving passive HR system. Rather, we transform HR processes, creating an active, real-time HR engine with user friendly capabilities and analytics. We offer a broad solution based on 4 pillars as our foundation; Core HRMS, Talent Management, Workforce Management and Travel Management. 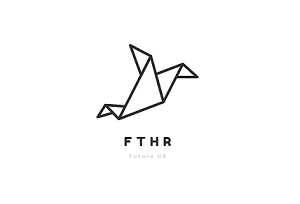 Running on the latest technology of html 5 and 64 bit, we deliver higher quality solution, at faster speed and greater flexibility, giving all HR professionals more confidence needed to drive productivity. Today, we have over 100,000 users spread across 22 countries. 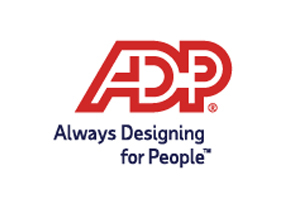 Over 600 companies, small and large, have entrusted their HR functions to us. We are flexible with the scalability with our largest client running its payroll for around 10,000 employees. 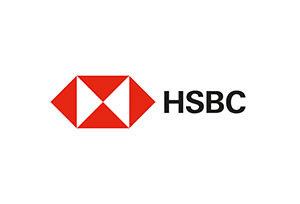 HSBC, with operations in 66 countries and territories, is one of the largest banking and financial services organisations in the world, and one of the leading banks in Singapore. Employee Banking Solutions by HSBC offers employee banking benefits to your organisation, as well as your employees. With our global footprint, our specialist Employee Banking Solutions (EBS) team will offer professional and tailored guidance for your employees’ financial decisions, wherever you are. 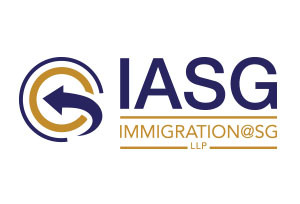 Immigration@SG LLP (IASG) is an award-winning, Singapore-based immigration consultancy firm providing comprehensive immigration services to cater to the varying needs of businesses and individuals. Our team comprise of well-trained immigration professionals with up to 20 years of combined immigration experience in Singapore, with close working relationships with relevant government agencies such as the Immigration & Checkpoints Authority (ICA) and the Ministry of Manpower (MOM) Singapore. 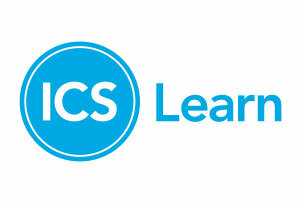 ICS Learn has been transforming HR and L&D careers through CIPD qualifications for 30 years. Their fully-supported, flexible online delivery is suited to businesses and individuals alike. With 130 years of experience as pioneers in distance learning, they’re trusted to help 17,000 current students develop their skills and advance their careers. 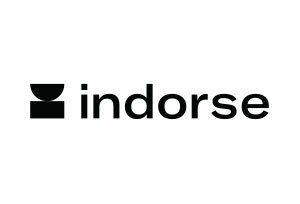 Indorse is a skills validation platform which helps hirers find the talents they need faster. Unlike other platforms in which a user can add any skill without a proper validation, Indorse ensures that the user's skills are assessed and validated by a panel of experts. Using cutting edge technology, Indorse provides you with insights about candidates’ skills and proficiency level. Instead of spending several man-hours and dollars sieving through a barrage of resumes, now you need to interview only the validated candidates who have been assessed by experts in the domain. 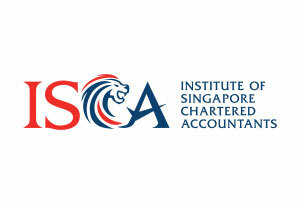 The Institute of Singapore Chartered Accountants (ISCA) is the national accountancy body of Singapore. ISCA’s vision is to be a globally recognised professional accountancy body, bringing value to our members, the profession and wider community. There are over 32,000 ISCA members making their stride in businesses across industries in Singapore and around the world. Established in 1963, ISCA is an advocate of the interests of the profession. Possessing a Global Mindset, with Asian Insights, ISCA leverages its regional expertise, knowledge, and networks with diverse stakeholders to contribute towards Singapore’s transformation into a global accountancy hub. ISCA is the Administrator of the Singapore CA Qualification and the Designated Entity to confer the Chartered Accountant of Singapore - CA (Singapore) - designation. ISCA is a member of Chartered Accountants Worldwide, a global family that brings together the members of leading institutes to create a community of over 1.8 million Chartered Accountants and students in more than 190 countries. Intercorp Solutions Pte Ltd is a Singapore-based technology company, incorporated since 1996. Intercorp specializes in implementing cutting-edge biometrics, cloud computing and big data technologies for organizational workplace security, door access, workforce time attendance, payroll and productivity needs. Processing more than 150,000 daily workforce in Singapore, Intercorp has helped many enterprises in managing manpower across multiple locations, improving data visibility and ultimately resulting in improved productivity and reduced overtime and manpower expenses. 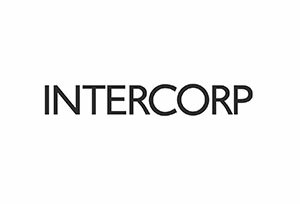 Intercorp is a trusted brand, working with numerous clienteles from all industries, such as Singapore LTA, PUB, Singapore Post, NTUC FairPrice, ExxonMobil, Fragrance Foods, Sushi Tei, Lendlease, Raffles Education and more. With its head office in Singapore, Intercorp has expanded into overseas markets such as Malaysia, India, Hong Kong and China. Intercorp is a BizSafe 3 certified company and a pre-approved solution provider by Singapore IMDA, and in 2018, was awarded Singapore Top Trusted 100 SMEs (Medal of Honor) by Singapore Enterprise Association. 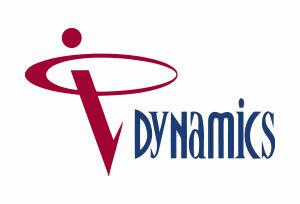 iqDynamics is the local vendor of proprietary HRMS and Talent management software, HRiQ, assisting HR teams in daily HR tasks as well as strategic talent objectives. Consisting of core modules such as HR information systems, Payroll, Leave, Benefit and Travel Claims and talent modules such as Performance Appraisal, Learning & Development and Recruitment, HRiQ is the ultimate all-rounded system for all HR professionals. 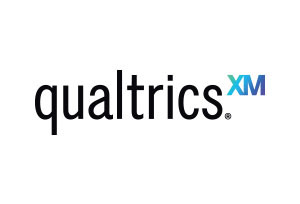 With a powerful integrated system and complex but easy to use functions and smart workflows, iqDynamics’s HRiQ caters to not only global MNCs all over the world but also fast-growing SMEs in Singapore and the Regional SEA region. 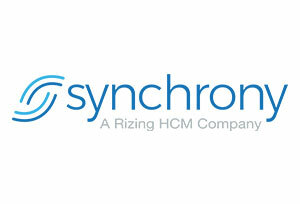 Synchrony Global is a Leading Provider of Cloud HR and Payroll Solutions and Services, including SAP SuccessFactors. Our unique 360° approach to Cloud HR and Payroll services and solutions is provided through three main divisions: Business Consulting, System Integration, and Operate & Improve Services. Training Vision Institute (TVI) , founded in 1991, is a leading training and human capital consultancy firm in Singapore. TVI currently operates 5 training centres island-wide and is also growing regionally with businesses in Vietnam and India. As a SkillsFuture Singapore accredited Approved Training Organisation for Employability Skills Workforce Skills Qualifications (ES WSQ) and Executive Development & Growth for Excellence (EDGE), more than 75,000 PMEs and workers have taken TVI's modular, stackable learning pathways, ranging from short courses to degree programmes offered in partnership with internationally-renowned universities. 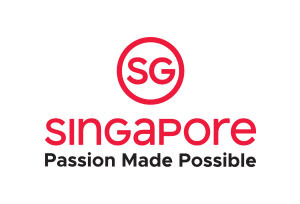 TVI is also accorded the Singapore Quality Class (Innovation) status by Enterprise Singapore and Edutrust accreditation by the Committee of Private Education (CPE). 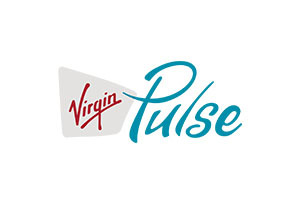 Virgin Pulse designs technology that cultivates good lifestyle habits for your employees. Configured to complement your culture, our technology and the overall wellbeing experience we deliver, drive superior outcomes for your people and your business. Virgin – one of the world’s most recognized and respected brands – is known for creating unrivaled consumer experiences. Conceived in 1970 by Sir Richard Branson, the brand believes in insatiable curiosity, smart disruption, heartfelt service, and delightful experiences. 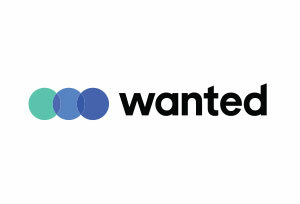 Wanted is Asia’s first referral-powered recruiting platform. On Wanted, anyone can refer talent and earn cash rewards upon a successful hire. Using AI, the Wanted platform screens all data to guarantee the quality of applications and referrals made on the platform. There are currently over 3,000 companies and over half a million users on the Wanted platform. Since 2015, companies such as Microsoft, LINE and WeWork have been using Wanted to recruit the best talent in Asia. Founded in Korea, the company has raised over USD$10million in funding and has now expanded to Japan, Taiwan, Hong Kong & Singapore. By focusing on SMEs’ need for initial setup, user training and customer support, the team has successfully helped over 1,000 companies enhance their HR & payroll processing efficiencies. Zoho Corporation is a software company that offers beautifully smart software to help you grow your business. 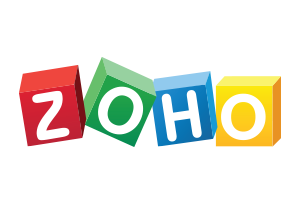 With over 20 million users worldwide, Zoho's 33+ products aid your sales and marketing, support and collaboration, finance and recruitment needs - letting you focus only on your business. Zoho Recruit is both a powerful recruiting software and a cutting-edge applicant tracking system that streamlines your hiring process. Source best talent faster, track resumes and interviews efficiently, and never miss on a great hire. Zoho People takes care of your HR processes while you take care of your employees. Be it employee onboarding, attendance management, time tracking or appraisals - We've got it all covered. JustLogin is the HR Cloud that just does it all for SMEs. Manage payroll, leave, time & attendance, expense claims, benefits, performance and employee data on the Cloud with JustLogin. 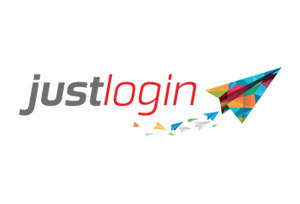 With 18 years of Cloud HR software experience, JustLogin has worked with thousands of business owners and HR professionals across Asia to build up applications and features that meet real business needs. Automatically comply to ever-changing labour regulations, go paperless with mobile leave tracking and claims submission, and be on top of your workforce situation with real-time visibility on employee attendance and other data. Join 2000 other digital businesses on JustLogin's platform. Try it for yourself. Kaplan Learning Institute has established itself as one of the leading private education institutions and corporate training providers in Singapore. Through its two entities – Kaplan Financial and Kaplan Professional – Kaplan Learning Institute offers more than 200 courses for young and adult learners to pursue their qualifications of interest with professional education partners such as CPA Australia, Chartered Financial Analyst Institute (CFA Institute) and Singapore Workforce Skills Qualifications (WSQ). With a focus on training excellence, Kaplan Learning Institute has been accorded a number of honours by our partners, demonstrating our commitment to achieving excellent standards of teaching and providing outstanding student support and learning facilities. Widely recognised as an institution with dedicated lecturers and a proven track record of exceptional pass rates, Kaplan Financial will equip you with the skills and confidence needed to shine in the challenging accounting and finance industry. Kosh Consulting Group (KCG) is a professional services firm that helps clients harness the talent of exceptional independent consultants to deliver flexible, cost-effective, and high quality solutions that best serve their needs. When it comes to tackling the complex challenges and demands in the increasingly volatile and disruptive workplace, a one-size-fits all approach is not ideal. Instead, we connect our clients with teams of carefully selected independent consultants, who together possess the relevant skills and expertise needed to maximise the potential of their organisation. Arete Asia Pacific Pte. Ltd. is the leading HR solution provider, reseller and implementor in Asia Pacific since 2017. Our consultants have in average more than 10 years of experience for HR Management System project implementation. We are committed in delivering high quality, timely projects tailored to clients’ business strategic and operational needs. Our clients span across a wide range of industries, including retail, food & beverage, education, aviation, oil & gas, construction & engineering, shipping & logistic, financial services, hospitality, manufacturing etc. 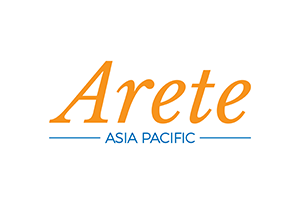 Please feel free to visit our website at https://arete-apac.com. 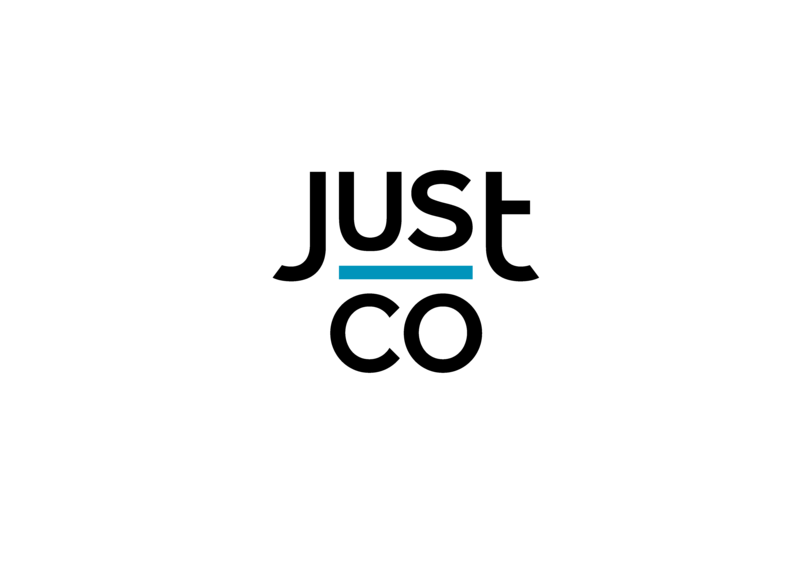 Datumstruct Solutions Pte Ltd is a Singapore firm that strives to establish meaningful connections resulting in product solutions, customer support and after sales service that exceed market demands. As a leading space planner, supplier and installer of office system furniture, Datumstruct’s commitment to serving its customers is rooted in its reliable performance, excellent sales service and in depth product knowledge. This, combined with our longstanding reputation and expertise, sets us apart and allows us to customize solutions to each of our clients’ needs with the most exclusive value. An ergonomic, functional and aesthetically pleasing office environment is achievable with Datumstruct. 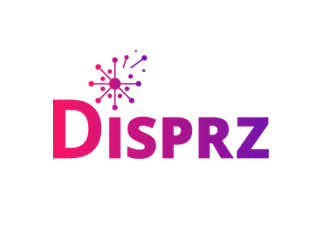 Disprz is a professional people development and readiness platform to drive business results through gamified, mobile-first, AI-powered learning interfaces where knowledge is directly linked with impact analytics. We make employees better at what they do: Sales, Marketing, Operations, Customer Support, Technology, R&D, and more. The pioneering SaaS-based start-up equips your 21st century workforce with the latest skills & training, keeping them job-ready, upskilled and engaged all the time. Several reputed organizations across South East Asia, US, India and Middle East from start-ups to Fortune 500 companies are using the Disprz platform to enhance their workforce potential and drive overall productivity on a daily basis. 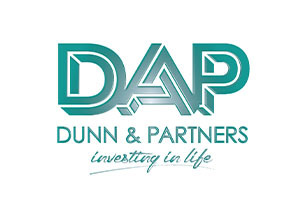 Dunn & Partners is a 30-strong financial advisory team with specialist focus on employee benefits, retirement and estate planning consulting. Founded in 2011, the team has partnered many SMEs in planning, designing and implementing employee benefits programmes to strengthen the employer branding, and conducted numerous lunch and learn sessions on financial wellness in MNCs on request bases. They also work with senior HR leaders to implement global healthcare solutions for mid to senior level executives to complement basic group medical insurance coverage. 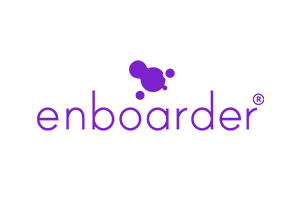 Enboarder is the first Experiential Onboarding platform and is the new way businesses onboard. Our platform emphasises the value of human connection and experience, putting the employee at the centre of everything we do. With Enboarder you can turn new hires into highly engaged, long term employees and managers into onboarding rockstars. World leading employers including McDonalds, Hugo Boss, Gucci, ING Direct and Eventbrite love Enboarder for its manager coaching features, extreme flexibility and automation capabilities. Packed with features including our visual drag and drop journey builder, smart segmentation and logic, manager nudges and reminders, dynamic pulse surveys, automated IT provisioning, integrations and more, Enboarder makes scaling personalised onboarding effective and easy. 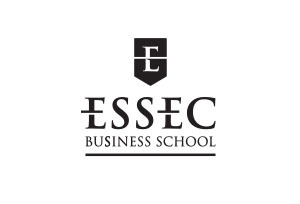 A leading pioneer in education since 1907, ESSEC is ranked #8 business school in Europe by the Financial Times and holds the prestigious “triple crown” accreditation (AMBA, EQUIS, and AACSB). We offer a wide range of top-ranked programs that provide strong global exposure, professional networks, and career outcomes. Students can choose to study in 3 continents via our global campuses in Singapore, France, and Morocco. In helping our graduates advance their professional aspirations, we have produced business leaders who helm some of the world’s most influential organizations such as Accenture, PwC, UBS, Chanel, L'Oréal and Van Cleef & Arpels. 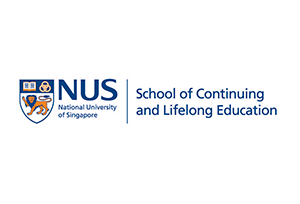 The NUS School of Continuing and Lifelong Education (NUS SCALE) was launched in June 2016 to support national manpower needs with high-quality and industry-relevant adult education and training programmes. Drawing on the multi-disciplinary expertise of 16 other NUS faculties and schools, backed by cutting-edge research along with strong industry links, NUS SCALE equips youths, professionals, and organisations from the world over with the latest knowledge and skills demanded in the digital economy. Delivered with technology-enabled blended learning approaches, NUS SCALE programmes are designed to enhance both learning experiences and outcomes. Visit scale.nus.edu.sg for more information. Berlitz gives you the power of language and understanding to help you succeed anywhere in the world. A pioneer in language and intercultural communication training for more than 140 years, Berlitz uses innovative techniques to help you learn quickly and effectively. Through active participation and engagement in the language process, you’ll cultivate life-changing skills that can lead to more enriching global travel, increased career opportunities, and greater confidence. 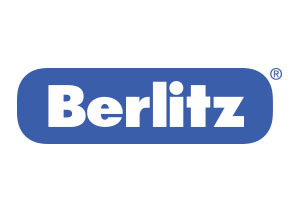 Berlitz offers a comprehensive portfolio that includes communication skills development, global leadership training and customized solutions for cultural competency, available in-person and online learning solutions. 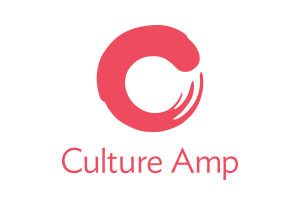 Culture Amp is the Culture First employee feedback company. 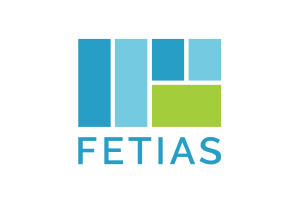 We make it easy to collect, understand, and act on employee feedback, enabling organizations to better manage the employee experience and turn company culture into a competitive advantage. 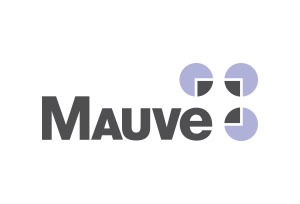 The Mauve Group is a leading provider of Global Mobility Business Solutions and Consultancy Services. Established in 1996, the group of companies are linked through common ownership and have strategic positioning spanning 4 continents. Our companies work together to offer a diverse range of solutions and services. Over the last 20 years, Mauve Group has achieved a highly successful programme of global expansion through the establishment of regional centres, developing an incomparable wealth of expertise and a “business without borders” ethos. This has proven vital to our clients as they navigate mobilisation into new markets. As a leading HR and employment service provider, Mauve delivers solutions designed to help smooth the global expansion process. Our creative and bespoke approach ensures all our clients receive a cost-effective, reliable and compliant solution. If your organisation is expanding its business beyond existing borders, get in touch. Mauve will make going global easy. 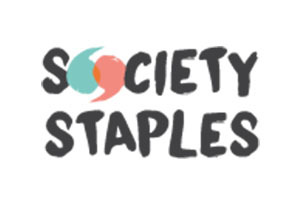 Society Staples mission is to enable and support corporations, government agencies and individuals to build a more inclusive Singapore for persons with disabilities. Their body of work revolves around curating novel experiences for greater awareness and advocacy outreach, organising activities and events that fosters stronger community development and designing customised training and consultancy projects for businesses to do good better – anything that helps with improving the quality of life of marginalised individuals and creating more equal access to opportunities in society. Incorporated in 2006, AG Net Pte Ltd is headquartered in Singapore and we have a sales and marketing office in Kuala Lumpur, Malaysia. Our solutions and services are used by over 500 corporations with more than 50,000 users from 15 countries in Asia-Pacific and other parts of the world. Our commitment to our customers is the continual enhancement of our solutions and services to keep up with the government legislation changes in all countries that our customers operate in. 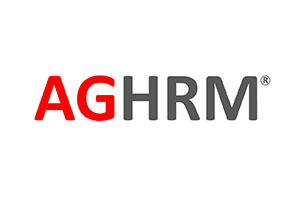 AGHRM’s easy to use cloud-based HR management solutions including payroll, time and attendance, claims and leave submission, training and development modules are purpose built for the Asian market that users can access anytime and anywhere. 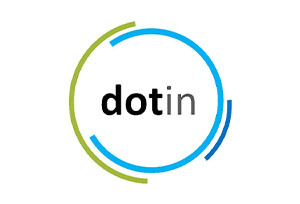 DDI is a global leadership consulting firm that helps organizations hire, promote and develop exceptional leaders. From first-time managers to C-suite executives, DDI is by leaders’ sides, supporting them in every critical moment of leadership. 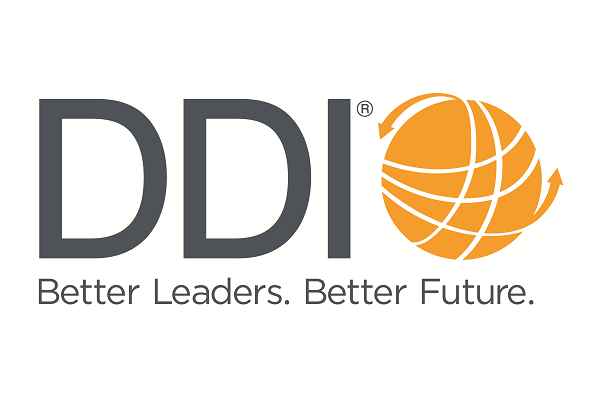 Built on five decades of research and experience in the science of leadership, DDI’s evidence-based assessment and development solutions enable millions of leaders around the world to succeed, propelling their organizations to new heights. For more information, visit ddiworld.com. 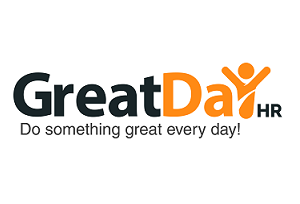 GreatDay HR is a pioneer in employee-focused HR application solutions. GreatDay HR application, makes it easy for the HR process in general such as: managing attendance, applying for leave, claiming reimbursement fees, payroll, viewing pay slips, and other matters relating to human resources. PeopleStrong is a leading HR Technology company from India, that is enriching experience at work for over 250+ customers and over 700,000 users. On its journey to writing the #NewCodeofWork, PeopleStrong delivers on its promise through its on-demand technology product PeopleStrong Alt, which has distilled tens of thousands of hours of ‘natural research and development (R&D) — a decade long experience of servicing the HR functions of top Indian companies. Known for its penchant to innovate, PeopleStrong has many firsts to its name, the recent one being bringing PaaS. PeopleStrong is the first company in the space to be successfully assessed on SSAE18 and recently won the prestigious CIO’s Choice Award for Talent Management on Cloud. 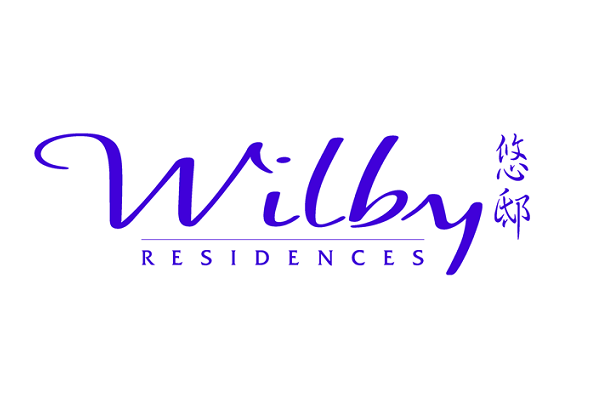 Designed for your comfort, Wilby Residences offer a span of 318 serviced apartment units in Singapore. In line with our core value to provide luxuriant stay experience, Wilby Residences became the first serviced residence in Singapore to offer PURE Certified allergy-friendly apartments. Our properties are ideally situated in 2 prime locations to meet any business needs, holidays, short or long term residences in Singapore. Wilby Residences has been awarded 'Certificate of Excellence' by TripAdvisor that honors hospitality businesses that deliver consistently great service across the world for 3 consecutive years. With a team of dedicated and experienced service professionals, residents can naturally be assured of exceptional support throughout your stay. 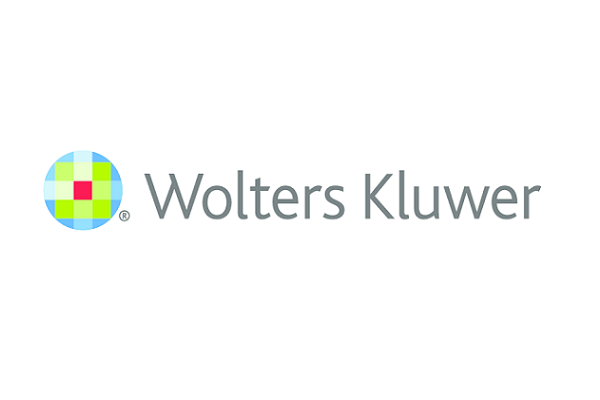 Wolters Kluwer is a leading provider of software solutions and local expertise that helps tax, accounting, and audit professionals research and navigate complex regulations, comply with legislation, manage their businesses and advise clients with speed, accuracy and efficiency. With the integrity of over 45 years’ experience in Asia Pacific. 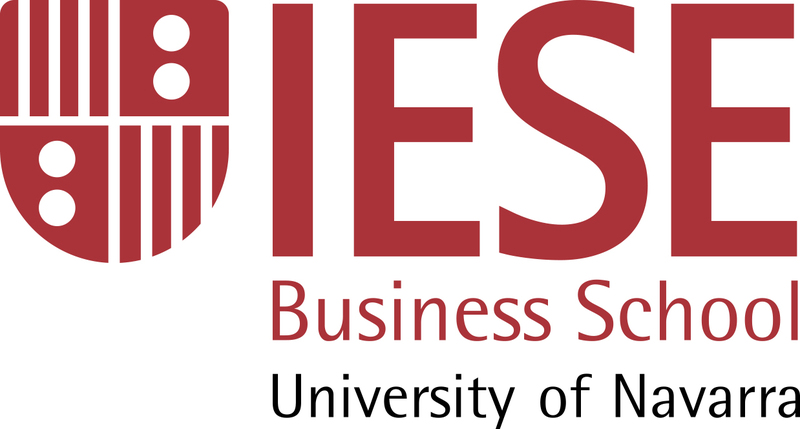 IESE, the graduate business school of the University of Navarra, is one of the world’s most international business schools with campuses in Barcelona, Madrid, Munich, New York and São Paulo. Since its founding in 1958 in Barcelona, it has pioneered business education in Europe with the mission of training leaders who can have a positive and lasting impact on people, companies and society thanks to their professionalism, integrity and spirit of service. It has received numerous international awards for its teaching and research work. In the last four years, IESE has positioned itself as number 1 in the world in Executive Education programs, according to the Financial Times ranking. 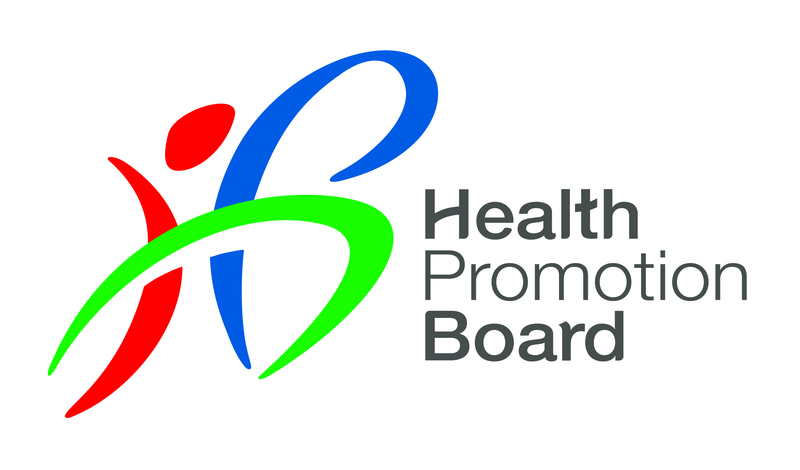 The Health Promotion Board was established as a statutory board under the Ministry of Health, Singapore, in 2001 with the vision of building “A Nation of Healthy People”. The Health Promotion Board aims to empower the people of Singapore to attain optimal health, increase the quality and years of healthy life and prevent illness, disability and premature death. As the key agency overseeing national health promotion and disease prevention programmes, HPB spearheads health education, promotion and prevention programmes as well as creates a health-supportive environment in Singapore. It develops and organises relevant health promotion and disease prevention programmes, reaching out to the healthy, the at-risk and the unhealthy at all stages of life – children, youths, adults and older Singapore residents. Its health promotion programmes include nutrition, mental health, physical activity, smoking control and communicable disease education. HPB also promotes healthy ageing, integrated health screening, and chronic disease education and management. 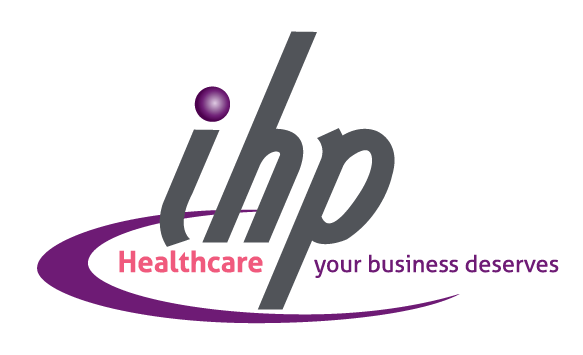 Established in 1994, Integrated Health Plans Pte Ltd (IHP) provides managed healthcare services to corporate clients ranging from SMEs to MNCs. As a neutral third party administrator, we’re committed to providing organisations with quality medical care at highly-competitive rates regardless of business size. We do this by contracting with medical providers who are sensitive to the issue of increasing healthcare costs, negotiating significant rate concessions with these providers, undertaking utilisation reviews and analyses to manage consumption, and establishing quality assurance processes to ensure the highest standard of medical care. To provide businesses of all sizes with quality healthcare programmes that are cost-effective and tailored to individual business needs. Quality healthcare for all employees in the Asia-Pacific region. Guided by our corporate motto, “Easy to adopt, simple to implement”, we strive to make our healthcare programmes accessible for all businesses. Here's why IHP is the preferred choice of businesses all over Asia. We believe employees are the most valuable assets of any organisation – healthy employees are naturally more productive employees, and with increased medical benefits, more loyal to your company. ConnectDott is a Singapore based company specializing in Business Applications, Software Distribution and Development in the Asia Pacific region. . 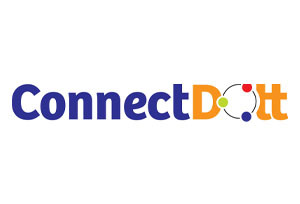 Founded and managed by highly experienced information technology professionals with a combined experience of more than 75 years, ConnectDott is focussed on delivering solutions across multiple industry segments and expanding their reach in Asia through innovative partnerships. An unbiased B2B SaaS AI platform that helps companies to hire culturally aligned talent with the right personality diversity without asking a single question. GNey Software has been designing and developing customize software solution from small businesses to corporate across different industries from medical, finance, manufacturing to finance for more than 8 years. GNey Software's vision is to bring reliable, affordable and dedicate software solution for all businesses and organization with lead time as to cope with ever-changing landscape. TechBridge Market has reimagined & reengineered talent sourcing & assessment for the digital age. Our fully-managed Sourcing-As-A-Service delivers “interview ready” candidates to our clients, helping them stay focused on core business and hiring top quality talent. We blend advanced candidate search automation technology with specialist recruiters to attract, source & pre-qualify candidates for technical roles across all major industry sectors. All our clients need to do is to interview and hire. With zero hiring fees to pay our solution is accessible to companies of all types and sizes. Visit us at the Startup Zone to find out how our specialist sourcing service is the most effective and affordable choice for your APAC and Middle East hiring. Goodbye Payroll Stress. 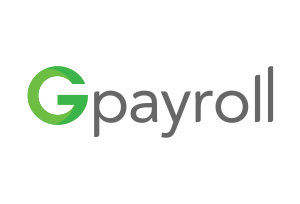 Gpayroll is an easy to use, self-run online payroll service that will redefine and revolutionize the payroll industry. Its intuitive and automated system will help business owners focus on their core business without the hassle of managing payroll. 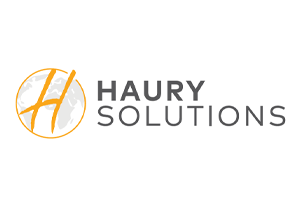 Haury Solutions is a German based start-up specializes in HR-collaboration work. Ever faster requirements for the HR of the future coupled with missing time, missing budget, missing manpower and failing knowledge make daily HR work a challenge. Do you have an HR topic to implement in your organization and any of the above challenges? Wonderful! This network helps your company save its resources. A personal supervisor provides them with contacts to companies that have already successfully implemented a similar HR issue. This knowledge, coupled with your own corporate culture and your own ideas, enables you to implement your HR project quickly and save resources. Visit us at our stand and learn more about the possibilities for your company. 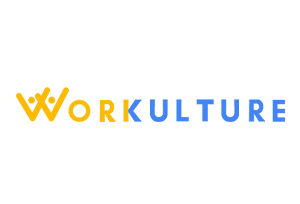 Workulture is a SaaS based People Analytic platform which consists of a web-based portal for management users to access analytics and administration, and a mobile app for employee. The mobile app offers a suite of features to collect feedback from various touch points such as feedback, pulse survey, recognition, comments on company posts, etc. As it is a mobile app with “always-on” features, employees are able to give feedback anytime, anywhere. Business leaders are able to understand and keep up to date on what’s happening on ground, enabling them to take actions to address issues early. Workulture also has “proactive” features that help organisations actively engage the employees, detect and take actions on potential issues before they happen. The company consists of 3 co-founders with combined experience of about 60 years ranging from software development, HR, entrepreneurship and sales. 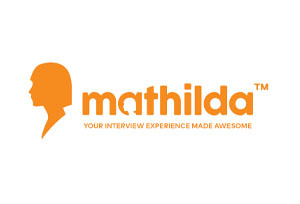 Mathilda™ is an Interview Experience software that will transform the way you hire. It is built for an efficient and cognizant experience for both the candidate and hirer, balancing the needs of both parties. If you are looking to automate painful hiring tasks while retaining the human warmth of the traditional recruitment process, Mathilda™ does that and more. The Interview Experience platform enables you to provide a personable candidate journey by retaining candidate's interest in the company throughout the interview process, resulting in a high conversion rate from candidate to employee. Elevate your brand's candidate experience today with Mathilda™. 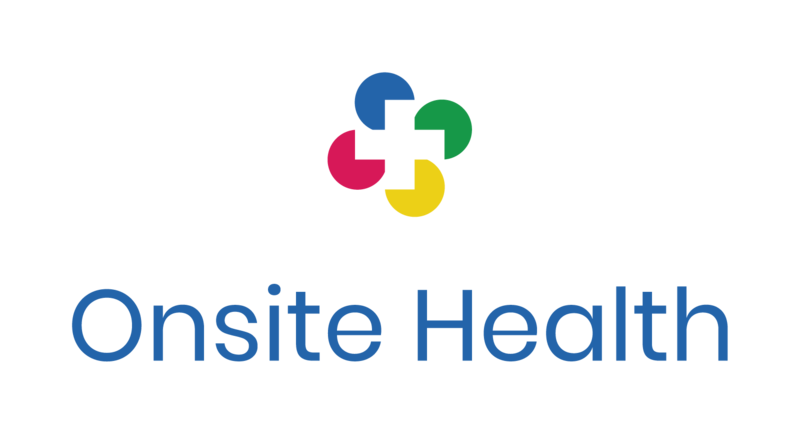 Onsite Health partners with employers to deliver the highest quality preventative healthcare, directly at the workplace. Visit us at the Startup Zone to find out how easy it is to introduce an in-house health and wellness clinic at your office. 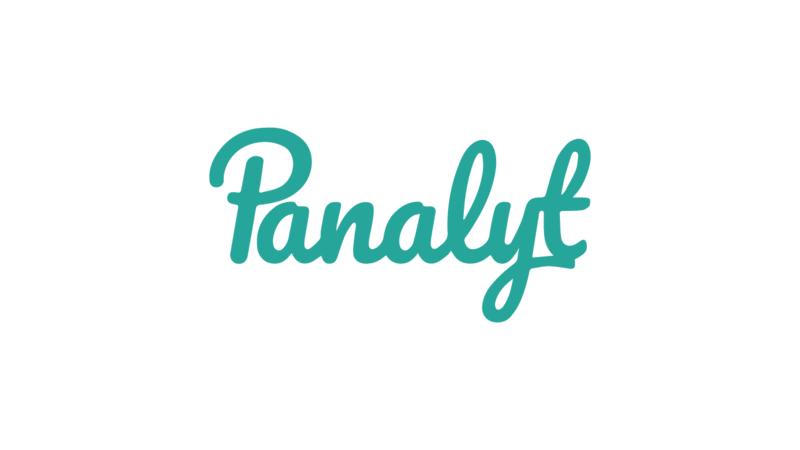 Panalyt is a people analytics SaaS tool that integrates data across different HR systems, providing dashboards, internal/ industry benchmarking & predictive analytics to enable better People decisions. Findjobs is the first job recruitment app in Singapore that operates as a Social Enterprise and is supported by raiSE Singapore & NTUC. Our findjobs, 找工 and Cari Kerja apps streamline the recruitment process for the non-executive workforce by connecting them with employers directly and efficiently. We believe strongly in delivering jobs to the community in order to meet the needs of individuals, and strive in connecting offline jobseekers and online employers together. 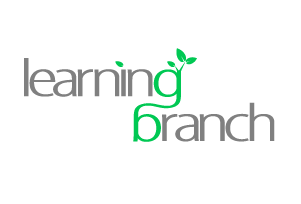 Learning Branch is an AI-powered recruit assessment and training platform for frontline, customer-facing employees. Our software systems insightfully evaluate key communications skills to enable hiring managers and HR departments around the world to pick the best performers. 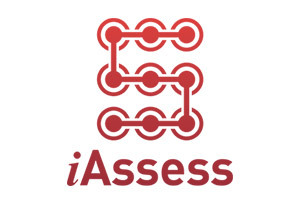 Assessing people skills, more efficiently and effectively: Our assessment tools rapidly and accurately provide comprehensive data relating to job readiness. We measure skill sets for different roles, focusing on real-world people skills: empathy, active listening, proactive assistance and more. This takes into account an incredible range of nuances and sensitivities relating to social, cultural, linguistic and international perspective. The faster way to generate better, more reliable results: Our assessment platform enables massive time and resource savings. And we help make your recruiting and training run more efficiently, accurately and consistently. Snaphunt is an AI-enabled hiring platform that acts like a recruitment agency by sourcing and screening talent for an Employer’s open roles- but without any human recruiter. Snaphunt allows companies to leverage technology to access targeted talent quickly and conveniently while significantly reducing their hiring time and costs. Since our launch we have helped multiple organisations in Singapore find and hire great talent and receive targeted applications within hours of opening a role. 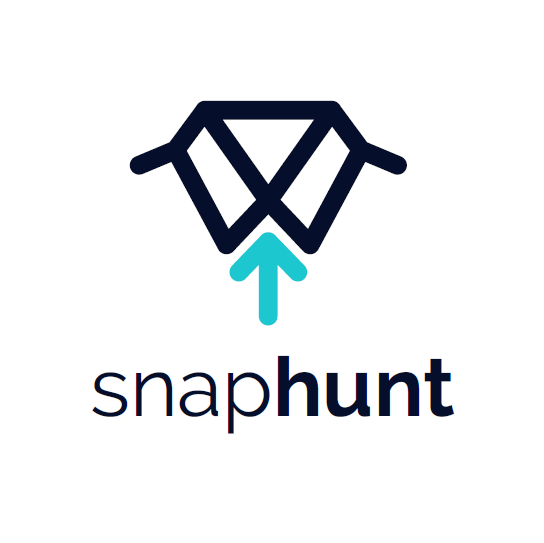 Employers can use Snaphunt by simply creating a recruiter account on www.snaphunt.com to hire talent across multiple specializations including Finance, Sales, Marketing, Secretarial, HR, Supply Chain, Technology, Design and Data Sciences to name a few. 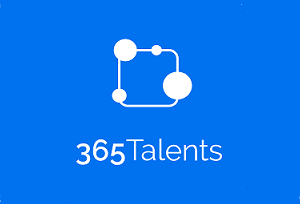 Our solution 365Talents is an intelligent skills and staffing management platform powered by Artificial Intelligence. It allows HR executives to tackle in a dynamic way all their mobility and transformation challenges. Thanks to powerful capabilities in Machine Learning and Natural Language Processing, our platform suggests automatically customized professional opportunities for each employee within the organization. So far, the platform reveals talents and skills in real time no matter their sources or languages in global leading organizations such as Société Générale, Allianz, EY, Adéo, Bearing Point, etc in more than 17 countries. Talkpush is making volume hiring fun and personal again. 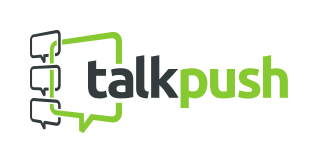 Talkpush is a recruitment platform that leverages the power of messaging and social media. The solution consists of Stanley, a recruitment chatbot compatible with Facebook, Whatsapp and other messaging paltforms, which conducts interviews; and an application management tool, which allows recruiters to evaluate and hire candidates faster than ever before. 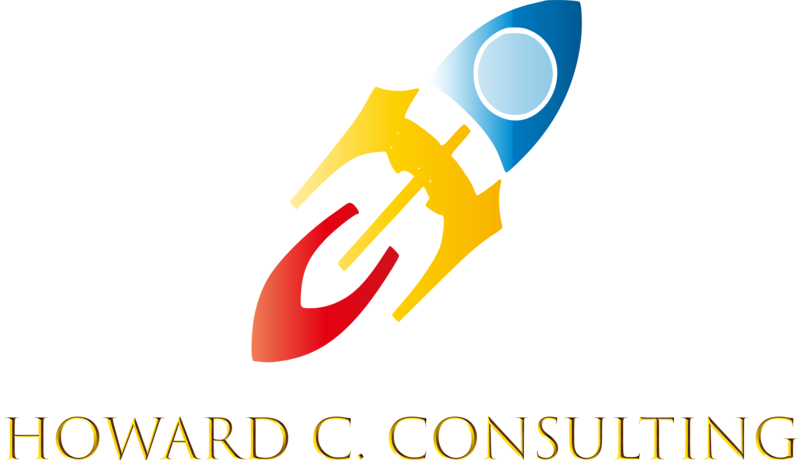 Howard C. Consulting Ltd. is a HR consulting firm dedicated to supporting companies in the transformation of talent and providing innovative training solutions. We use the PRISM brain map as our approach to assess companies health in organizational structure, internal management and employee adaptability, improving team agility and strengthening team coherence. Bridge Et Al. 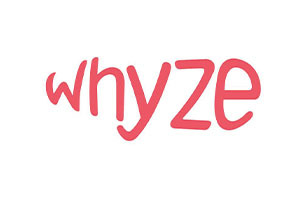 is an online freelancers marketplace that connects freelance consultants with organizations looking for specialized external talent to bridge gaps in their internal workforce in a cost-effective and agile manner. Bridge Et Al’s solutions enable Corporates and SME’s to secure independent business consultants and industry experts for mission critical projects in areas such as HR transformation, Strategy consulting, change management, digitization, business process improvement and project management. X0PA AI is an artificial intelligence based recruiter which helps organisations improve on six key performance indicators of successful hiring – cost of hire, time to hire, quality of hire, retention of hire , diversity of hire and candidate experience of hiring. It is an easy to use, plug and play platform that uses advanced algorithms and robotic process automation to predict cv to job matching as well as candidate to company matching in terms of best fit. It has a built in video interviewing capability, email integration for communicating seamlessly with your candidates, source candidates from multiple sources including LinkedIn and send to X0PA AI easily, automatic candidate scheduling and GDPR compliance. It not only has a Recruiter dashboard for recruiters to track progress but also Candidate dashboard to keep candidates updated and engaged! It can transform the way you hire! It can help you reduce the time to hire by 87.5%, 400% improvement in cv screening, 50% savings in cost to hire and significant improvement in employee retention rates! Founded in 2011, JustCo is one of Asia’s leading premium flexible workspace providers. At JustCo, we believe that working together, is working better. We continually challenge and redefine collaborative working, connecting like-minded and dynamic communities in open and creative work spaces. In JustCo’s powerful ecosystem, business of all shapes and sizes can harness the benefits of the network effect. JustCo’s range of curated events, networking sessions and strategic partnerships allow members to find business opportunities, gain insights, and help drive success and innovation to each other’s business. With uniquely-transformed workspaces, JustCo goes beyond a sharing economy. By 2020, we aim to be a strong driving force behind commercial real estate market across Asia, and empower our ever-growing community with exceptional workplace flexibility and experiences. Come and experience JustCo with our 1-day free trial! 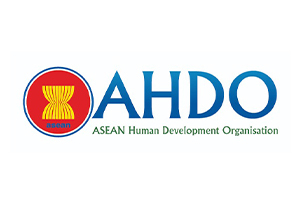 The ASEAN Human Development Organisation was founded in 2018 to promote human development in the workplace across the ASEAN’s Member States (in order of population: Indonesia, Philippines, Vietnam, Thailand, Myanmar, Malaysia, Cambodia, Laos, Singapore and Brunei). ASEAN’s total population is 635.9 million according to the most recent estimate in 2016. AHDO fulfils the need to connect ASEAN’s national HR Associations in the region into a professional community. AHDO works with ASEAN institutions on policy and initiatives and is their dialogue partner in addressing the region’s human development at work. AHDO aims to develop ASEAN’s management identity and culture with a core purpose of improving human development at work. To fulfil its mission AHDO publishes research and white papers, organises conferences and events across the region, works with international organisations and manages regional certification programmes for human development professionals. FOUNDING MEMBERS: The Indonesian Society of HR Professionals PMSM has taken the lead to create the first AHDO office in Jakarta and serves as the liaison office with the ASEAN Secretariat. The Vietnam Human Resources Association (VNHR), the Malaysian Institute of Human Resource Management (MIHRM) and the Myanmar HR association of the Chamber of Commerce, have agreed to be Founding Members. The HR Associations of Philippines and Thailand are consulting their boards before deciding to become Founding Members. 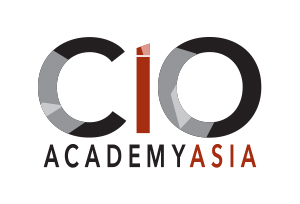 CIO Academy Asia helps leaders succeed in a fast-changing world driven by technology advancements. We create platforms where CIOs, business leaders and thought leaders share their insights, knowledge and expertise with the wider community of IT professionals and management executives in business, government and community organisations. We work with the IT and business community to raise professional standards and capabilities in the innovative use of technology to solve complex issues and challenges. We help CIOs to stay ahead of the industry, socio-economic trends and evolving technology landscape, providing new and practical knowledge where they can navigate the way forward for their organisations and also for their own personal growth. The Malaysian Institute of Human Resource Management (MIHRM) was established in 1976 as Malaysia’s first professional body promoting the practice of Human Resource Management. 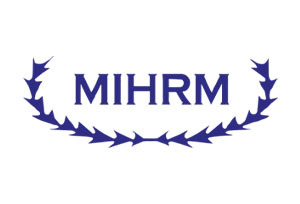 Being the leading and independent body for Human Resource Management in Malaysia, MIHRM has trained more than 20,000 competent HR professionals and practitioners in both the private and public sectors. The wide array of programmes, consultation and support for organizations and individuals has put MIHRM at the forefront of the industry on Human Resource Management in the country. This is consistent with its reputation as the only professional body that certifies HR practitioners in Malaysia. 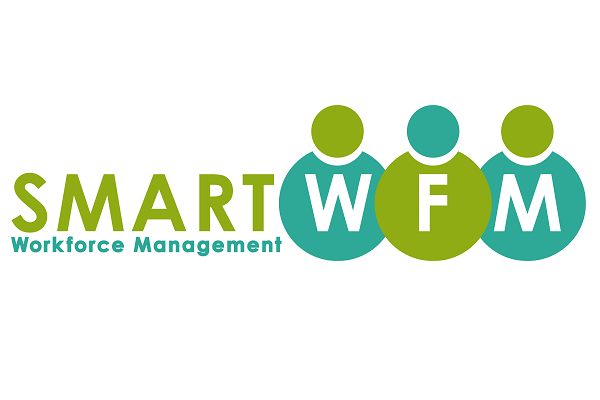 MIHRM is also affiliated with the World Federation of People Management Association (USA), Asia Pacific Federation of Human Resource Management (APFHRM) and other reputable regional Human Resource Management Association. 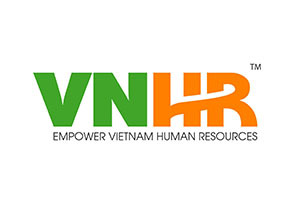 VNHR is a not-for-profit association to serve the development of HR community in Vietnam. VNHR is established from 2001 with the number of more than 1,200 HR Professionals and 60% of VNHR membership holding management level. VNHR is well-organized in Vietnam with the operation of several monthly HR seminars, workshops and conferences attracting more than 3000 participants each year. 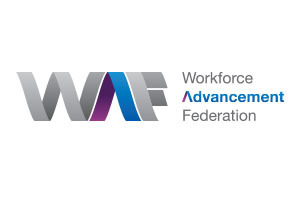 Workforce Advancement Federation Ltd (WAF) is a non-profit organisation incorporated to provide assistance and support to the local business communities in building a sustainable workforce. Through its various initiatives and activities, WAF aims to provide sharing and learning platforms to facilitate the exchange of best practices in human resource and capability development for the local workforce. In tandem of fostering the spirit of tripartism within Singapore’s dynamic business environment, the federation envision its core objective of shaping a productive and competitive workforce as key to the overall economic progress of the nation. 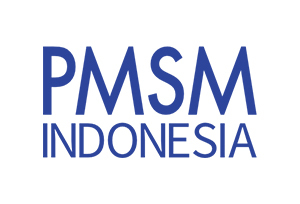 PMSM Indonesia was establish in 13th May 2000. This organization was born as a merger of two large Human Resource organizations: Indonesia Human Resources Management Association (IHRMA) and Indonesia Human Resources Development Association (IHRDA). In 23rd November 1999, IHRDA and IHRMA, each has held general meeting of its members/National Conference and both organizations had decided to merge into one association. The merger team formulated recommendation for the new organization along with its vision, mission, principle, goal, program and statute - rules of association which was validated in National Conference. The merger is considered to be important regarding the vision and mission of both profession association support each other. Each association has potential in organizing and developing Indonesia human resource that can be gathered in one organization to create one synergic, effective and efficient human resource management profession organization. Since the first national conference, PMSM Indonesia has held several National Conventions, discussions and monthly training, field trip, social event, and active participation in international forum such as: WFPMA (China), CIPD (UK), APFHRM (Hongkong, Sri Lanka, Philippines, and India), Asian Regional Training and Development Organisation (Malaysian, Macau, Taiwan, and Phillippines). PMSM Indonesia has successfully held Asian Regional Training and Development Organisation (ARTDO) for three times in Jakarta and Bali. In 2010, PMSM Indonesia led Indonesian delegation on Asia Pacific Human Resources Congress 1 in Bangkok, Thailand. 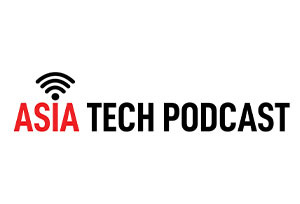 Pitchdeck Asia TV is a project powered by Asia Tech Podcast produced by The Podcast Agency to give Asia’s Startup Ecosystem a voice. 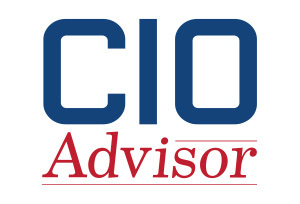 CIO Advisor APAC is published from the hub of technology, Silicon Valley, USA, with an editorial presence in all major APAC countries. Our mission is to enable CIO's of medium to large enterprises based in APAC countries to leverage technology for their businesses. We aim to be the next generation Advisor to the CIOs and their teams in their new expanded roles. We curate unbiased content and industry opinions. We also offer a medium for seasoned CIOs and senior IT management executives in the APAC region to share their practical knowledge, experiences and wisdom with their peers in APAC region to collectively uplift the ROI's that enterprises get from their technology spend. For more info, visit www.cioadvisorapac.com. 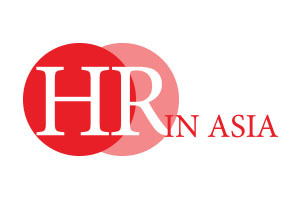 HR Asia targets the new breed of dynamic, mobile HR professionals that are now taking the HR scene in Asia by storm! No longer confined to the stereotypical supporting corporate roles, HR Asia readers are professionals who take leadership at strategic levels, beyond the traditional confines of human resource management functions. HR Asia goes beyond the customary of who’s who reporting to imparting strategic ideas and becoming a learning partner to our readers. We keep our readers informed of the latest benchmarks, best practices and happenings in the Asian HR scene, and empower them to make better decisions for themselves and their organisations. 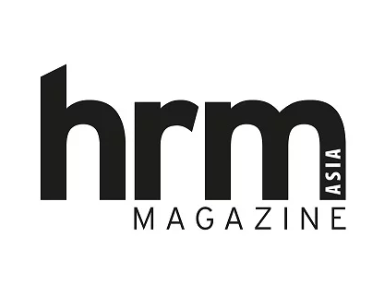 As Asia's leading publication and web portal for HR professionals and key corporate decision-makers for over 15 years, HRM Magazine Asia is the go-to record for this vital business community. Across both print and digital spaces, it concentrates on the issues and challenges facing the HR profession in Asia. Targeting the people who have the biggest impact on the profession, we draw on their experiences and philosophies to ensure HRM Magazine Asia continues to be a must-read for senior HR and workforce management professionals. 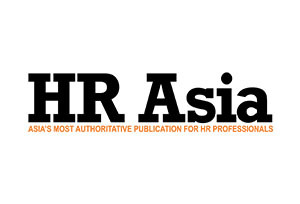 HRM Magazine Asia is published monthly – check out our back catalogue here! 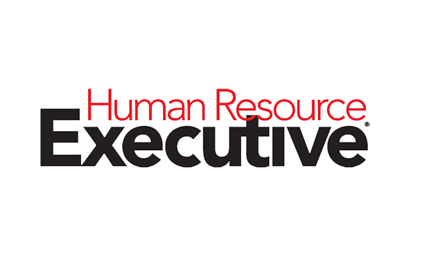 Human Resource Executive® was established in 1987 and continues today as the premier publication focused on strategic issues in HR. Written primarily for vice presidents and directors of human resources, the magazine provides these key decision-makers with news, profiles of HR visionaries and success stories of human resource innovators. 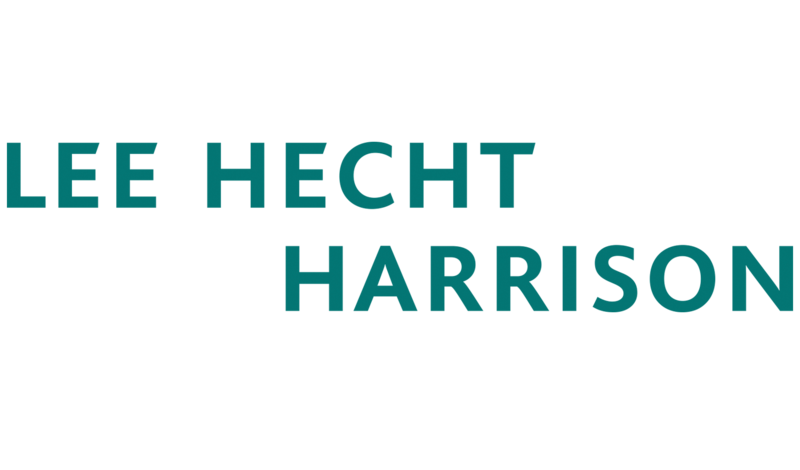 Stories cover all areas of human resource management, including talent management, benefits, healthcare training and development, HR information systems, relocation, retirement planning, and employment law. More than 75,000 HR decision-makers currently receive the print publication, which is published 12 times a year, and more than 100,000 readers receive the publication on their desktop, tablet or smartphone.